The original station on this site was Forge Mills for Coleshill (shortened to Forge Mills in 1904), opened by the Birmingham and Derby Junction Railway in 1842 on their new Birmingham extension from Whitacre Junction to Lawley Street built partly in desperation to boost flagging customer figures following a prolonged series of crises firstly with the London and Birmingham Railway and later the Midland Counties Railway over running rights and competition, respectively. 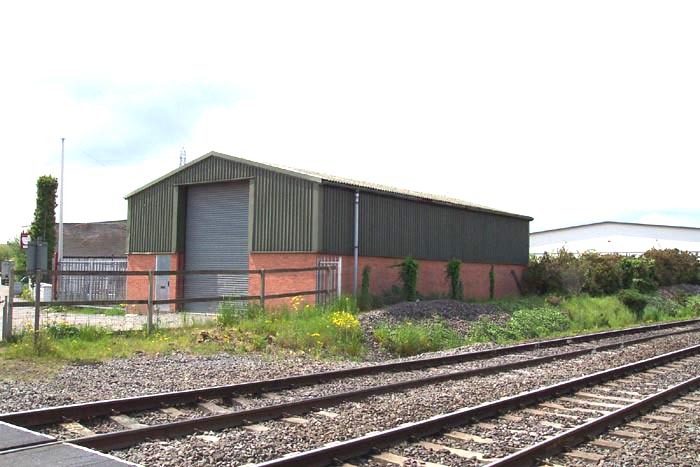 With the closure of the nearby Coleshill station following Grouping, Forge Mills took the name Coleshill and remained a going concern until the period immediately post-Beeching in 1965. 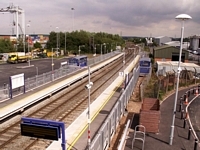 The site is now occupied by a new station, Coleshill Parkway, opened (five months behind schedule) in August 2007 serving Birmingham, Leicester and Nuneaton services. 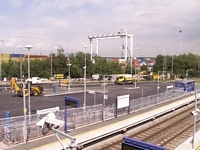 Above we see the new station under construction from Station Road. 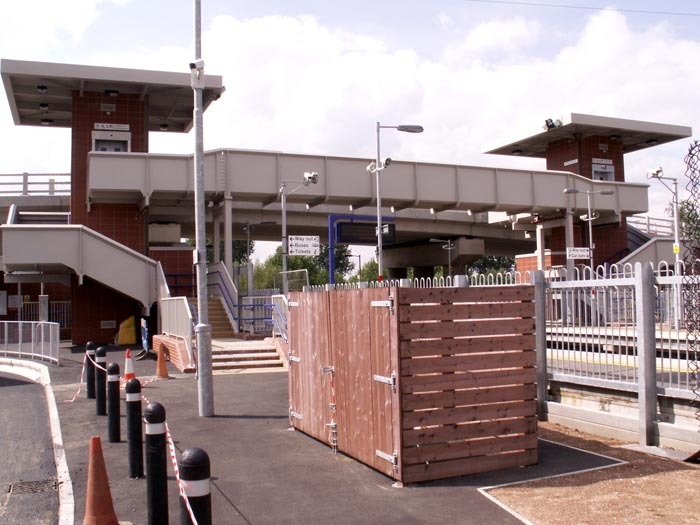 Above-left we are looking at the station structure, with its modern stylings. 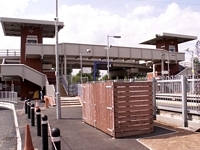 The footbridge is immediately ahead with a new road bridge leading to the car park beyond. 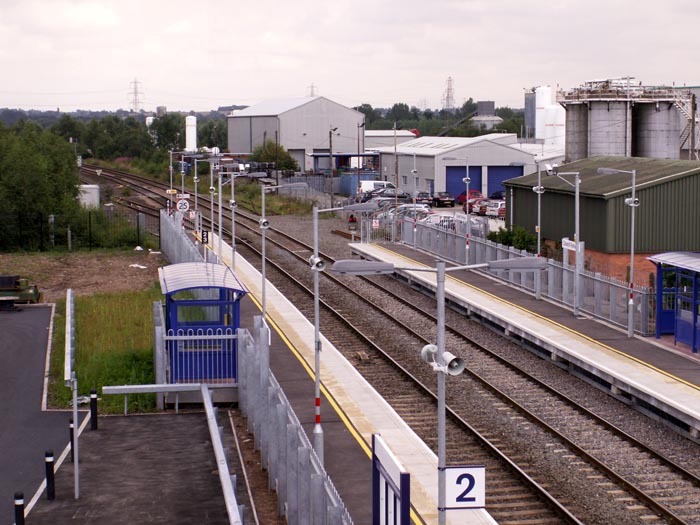 Above-right we are on the footbridge looking in the direction of Whitacre: the site of the original Coleshill, and later Forge Mills, station can be discerned, marked by the industrial unit to the right beyond the platform shelter. Above-left we are in the same spot on the footbridge, looking this time to the car park. 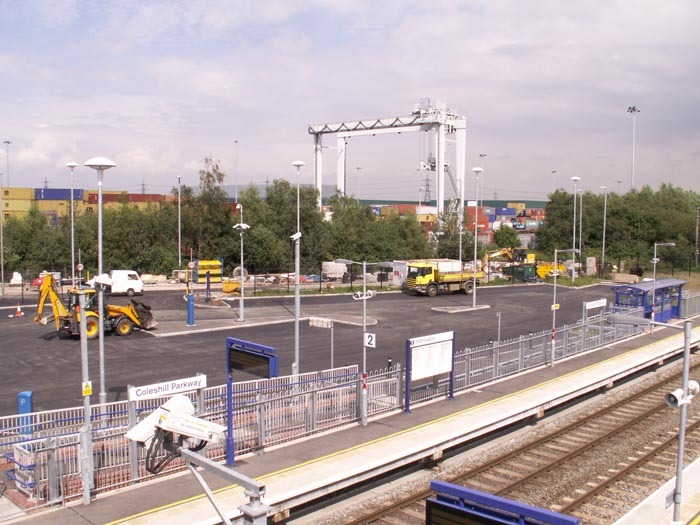 Beyond the car park can be seen the crane at work serving Coleshill Freight Terminal. Above-right we are again looking in the direction of Whitacre and the original station site from the footbridge. 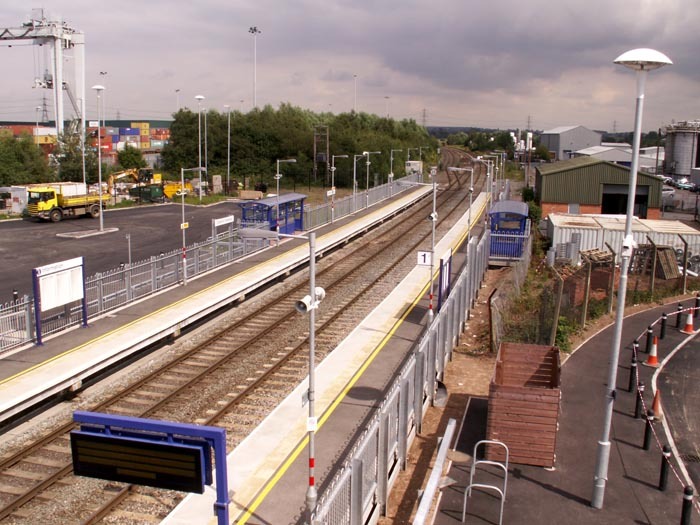 On my first visit to the site in May 2004, no trace existed of Forge Mills station and Coleshill Parkway was an embryonic pipe dream of transport planners. I felt it useful, therefore, to retain some of those images for comparison purposes here. Above-left we are standing on a barrow crossing, previously a level crossing, on Station Road looking to the site of the original station building, marked by the industrial unit ahead. 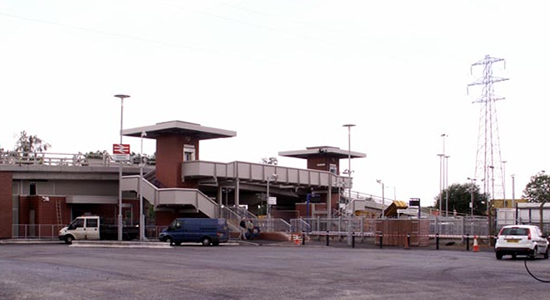 The new station site is to the right. 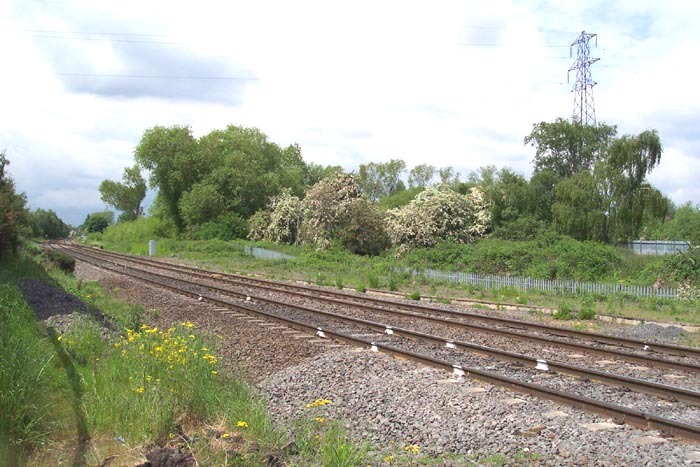 Above-right we have crossed the tracks to the station site and are looking along the line now occupied by Coleshill Parkway. Above-left still at the crossing, taking a better look at the line as it headed off towards Water Orton and Birmingham, now occupied by the new station. 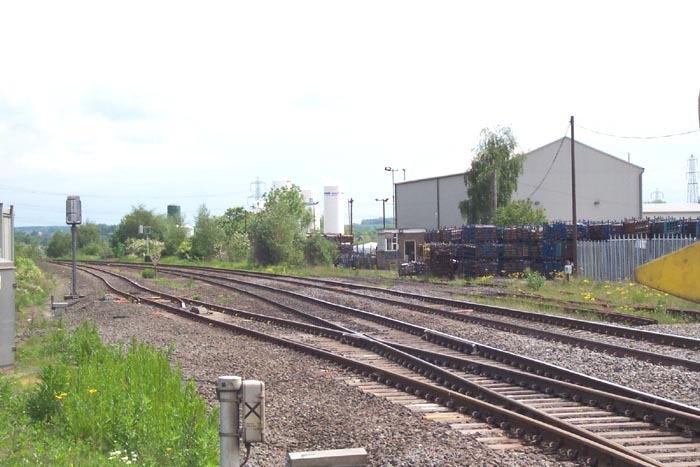 Above-right we are looking towards Whitacre at the disused sidings still extant at the site. This was a fascinating visit, especially since I had visited the site several years prior to work commencing on the new station.